Emotional Intelligence is defined by as “the capacity to control one’s emotions and handle interpersonal relationships empathetically.” If there’s anyone who understands how challenging this can be, it’s Inez Barberio. Her journey to becoming a motivational speaker and personal life coach (specializing in Emotional Intelligence) was filled with life lessons that she lives by passionately. Today, she develops and teaches workshops, coaches personal clients, and shares her personal stories and CORE growth strategies to overcome self-limiting beliefs to reaching one’s highest potential; personally, financially, career wise and in relationships. However, “yesterday,” things were very different. Inez has been through more than her fair share of hurdles. She was a single mother at the age of twenty. She endured more than one mentally abusive relationship. She battled self-esteem issues. Yet; through all of this, she survived, she learned, and she worked for her successes. The glass was always half full for Inez, not half empty, and her approach changed everything. Through the study and practice of human behavior, self-reflection, Emotional Intelligence, and an understanding of the subconscious mind, Inez transformed her life from the inside out. She learned to remove toxic people and situations from her life and formed healthy relationships. She took her journey from negative to positive, and now, she has been doing the same for others. Inez shares her stories on building a personal foundation in life through the study and practice of Emotional Intelligence to various non-profit groups, businesses, and schools. She is actively involved with Mallory’s Army, a foundation in remembrance of Mallory Grossman, who at the tender age of 12 took her own life as a result of unending bullying from classmates and on social media. During Inez’s lifetime, she has had experiences in many business environments that include the casino industry, health and wellness, education, food service, and the corporate world in New York City as a retail buyer and an account executive. By harnessing these experiences, she possesses first hand knowledge on what employees in these industries go through in a work day. Through the combination of work and education, Inez developed a passion for helping individuals empower themselves and inspire others to reach a life of compassion, empathy, love, respect and ultimately be the best version of themselves. 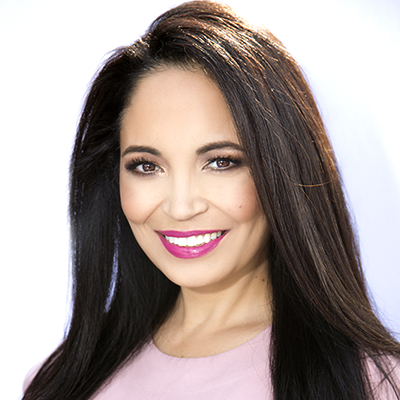 Inez has been a guest on television outlets including Latino Motion, DisruptED TV, and Harry TV with Harry Connick Jr. She has appeared on various radio programs, and has been a keynote speaker for AtlantiCare, Stockton University, and small businesses and special events. She has been published in various magazines on living with a positive lifestyle and Emotional Intelligence. Inez earned a degree in journalism and mass communications with a focus on broadcast journalism after graduating from New York University. She made her mark working in the corporate world, got married, continued her studies and earned a Master’s degree in education from Rowan University with focuses on elementary education, psychology and special education. She is involved with many female entrepreneur groups that focus on empowering each other and recently completed Cornell University’s “Women in Leadership” certification program. Inez was recently nominated for Philadelphia’s Womenpreneur 2018.